Samurai sword aficionados will gaze in awe at this magnificent piece of blade artistry. 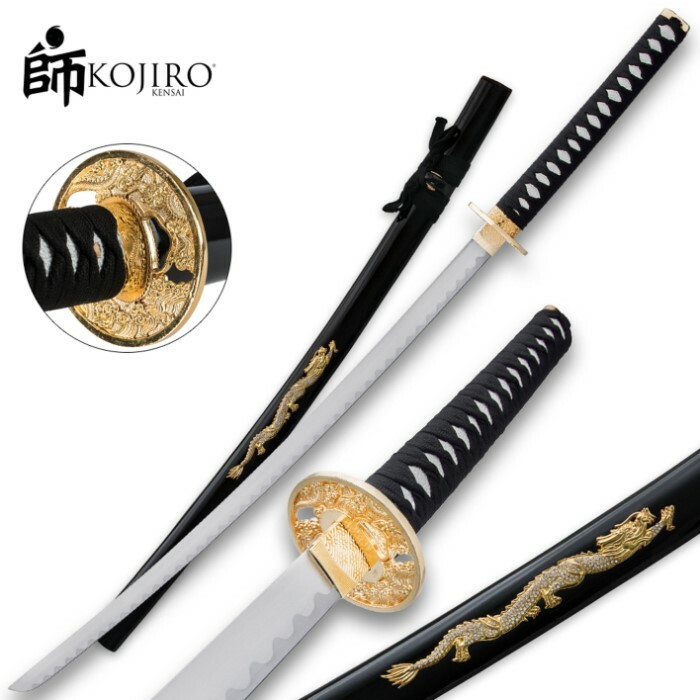 This top-quality samurai sword features a razor-sharp carbon steel blade that can slice through virtually anything like a hot knife through butter. Each piece is handcrafted with unrivaled attention-to-detail and includes such tasteful embellishments as high-polished brass accents and fittings, as well as custom-designed tsuba, menuki and pommel. The luxurious ray skin handle is wrapped delicately in decorative black cord. The coordinating hardwood scabbard is hand-painted and features elegant cord highlights – a superb protective shroud for the 27 1/2" blade. Looks incredible wielded in the hands in true samurai fashion, or displayed on a wall, mantle, bookshelf, or curio case. 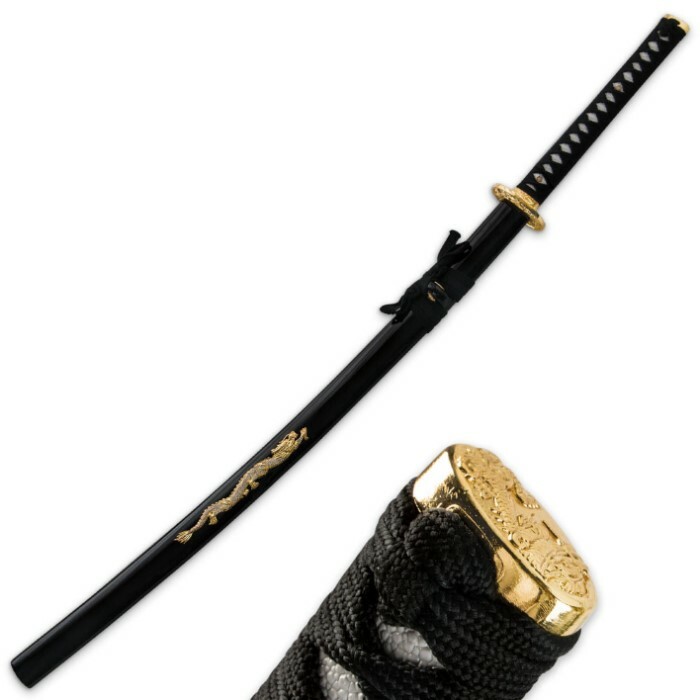 When used carefully and safely, the Samurai Warrior also makes a great authentic prop for theater and cosplay. 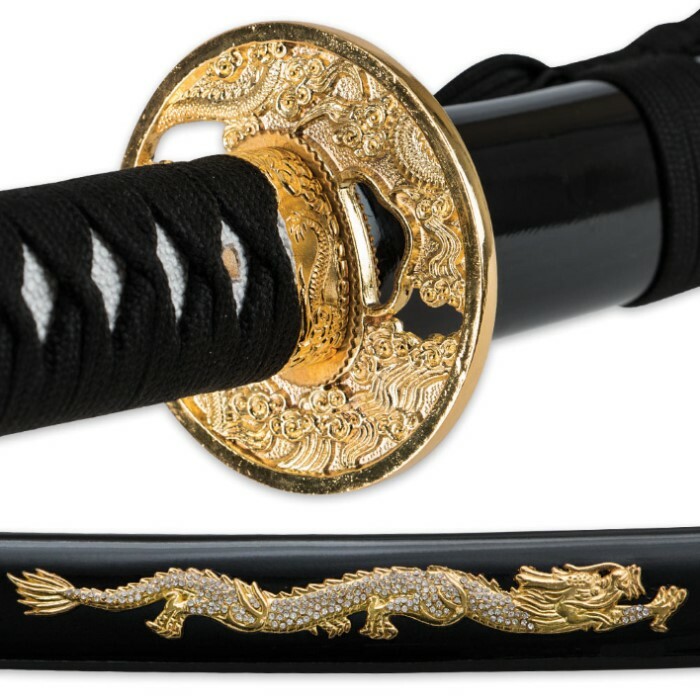 A great gift for Japanophiles, Samurai/Edo-period scholars and enthusiasts, sword collectors, or anyone who appreciates great art and craftsmanship. Measures 40.5" overall.